Distribution Digest is a free e-newsletter that brings you the same high-quality management information available in the Distribution Groups print publications. Twice each month, youll get quick-reading ideas that are sure to spark new thinking, action and improvement in your warehouse or distribution center. Sign up now. At the Starbucks regional distribution center in Tennessee, the boxes of espresso beans stacked on a rack look nearly identical. The only difference? One case expires in October, the other in November. If a picker grabs the fresher product, he just created an exception — a pick that, while not inaccurate, is slightly less than optimal. For a company that moves as much product as Starbucks, even the occasional out-of-order picks can add up fast. Exceptions raise the risk that coffee beans or tea will reach their expiration date while theyre still in the warehouse or on the shelf of a coffee shop. To tackle exceptions, Starbucks employees wrote an algorithm to track product by expiration date, then created metrics to gauge how well the company was managing inventory. Reminding pickers to only pick from the front of flow-through racks. 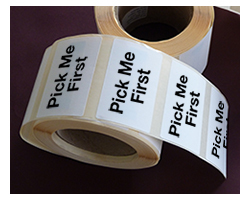 Placing Pick Me First stickers on returned products to move them quickly through the warehouse. Details on how Starbucks reduced exceptions, and on preventing accidents, and sharing truck space with rivals appears in the December issue of Distribution Center Management. Subscribe today. As the deadline for dimensional-weight pricing gets ever closer, distribution center managers are scrambling to find solutions. The business reality is that the brunt of the impact will be borne by small and medium sized companies that lack negotiating leverage. The big national account shippers have contracts locking in pricing for some extended period and in many cases have been able to negotiate more favorable terms. So does all this mean there is nothing to be done to combat the impact of dimensional-weight pricing? No, says packaging expert Jack Ampuja. In an article in the November issue of Distribution Center Management newsletter Ampuja outlines four strategies that can be implemented at little or no cost. Read the full article, How to prepare for an increase in dimensional-weight shipping costs. Many items shipped by Other World Computing leave the distribution center not in boxes but in polybags. The distributor of computer parts and accessories shifted to polybags in part to circumvent price increases by UPS and FedEx, which will move to so-called dimensional-weight pricing in late December. 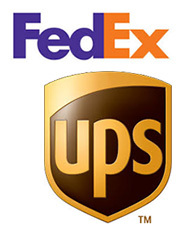 Other World Computing shows that DCs can find solutions to the UPS and FedEx price hikes that loom in the coming months. But switching from boxes to polybags isnt necessarily a seamless transition, warns Tim Kraus, an expert on sortation and conveyors at Intelligrated. 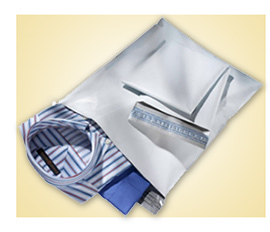 For many DCs, handling polybags could require an investment in technology. Thats because many sortation and conveyor systems are designed to handle rectangles, not oddly shaped bags, which can be invisible to a systems photo eye. Such problems arent insurmountable, but they certainly complicate the decision of moving to polybags. Kraus and Other World Computings Ryan OConnor agree that now is the time for a serious discussion about how much of your product could be shipped in bags instead of boxes. More on Other World Computings shift to polybags, plus tips from packaging expert Jack Ampuja appear in the November issue of Distribution Center Management. Subscribe today. Its that time of year again when many DCs are ramping up operations and bringing on temp help for the seasonal rush. Its too late to make major changes, but Curt Barry founder and president of F. Curtis Barry & Co. says that its not too late for minor tweaks that can make a big difference. In the October issue of Distribution Center Management, Barry shared 18 important best practices every company should consider. Read the full article, As holiday rush approaches, follow these last-minute tips to prepare. As safety violations go, the forklift problems at Exel Inc.s automotive parts distribution center in Toledo, OH, were mild. No one was injured in the incident that caused inspectors from the Occupational Safety and Health Administration (OSHA) to visit earlier this year. Still, OSHA proposed fines totaling $52,500. The hefty penalties underscore how seriously OSHA takes forklift maintenance and training, and they highlight the downside of ignoring the basic maintenance guidelines and training rules that federal regulators enforce. 5. Ignoring training after an accident. More on OSHA inspections, tips for the holiday rush, solar rooftops, and preparing the DC for winter appear in the October issue of Distribution Center Management. Subscribe today. More on slotting, preparing for peak, and moving from reactive to proactive management, appear in the September issue of Distribution Center Management. Subscribe today. The 2013 holiday rush was marked by bad weather, delayed shipments and disappointed consumers. How can you avoid a repeat this year? • Get out from behind your desk. Manhattan Associates research finds many managers and supervisors spend 60 percent or more of their time behind their desks. Landau suggests investing in a mobile labor management system that lets you track production from a tablet. This lets me go out on the floor to my poor performers and either coach them up or coach them out, he says. 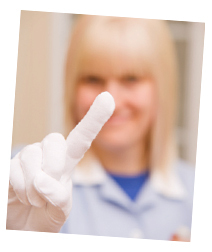 • Plan for your staffing needs. How many shifts do you plan to run during peak season? How many temps will you hire, and what sort of tasks will you allow them to handle? Its best to answer staffing questions early. If you aim to keep your workers happy, you should also think about some sort of incentive plan that pays bonuses for workers who thrive during a difficult time. • Make your inventory omni-channel. For a handful of huge retailers, it makes perfect sense to divide inventory into one stream for store replenishment and another for e-commerce fulfillment. Everyone else would be wise to tear down the walls separating types of inventory. No matter how much you prepare, peak season is always difficult. Its a high-stress time in the warehouse, Landau says. But DCs face an added incentive to avoid the mistakes of 2013 — consumers are using social media to shame companies that dont execute. More on preparing for peak, moving from reactive to proactive management, and implementing a VNA layout, appear in the September issue of Distribution Center Management. Subscribe today. Youve probably managed to succeed in your career while leaving financial calculations to the bean counters, but the Great Recession has affected how companies justify capital projects. 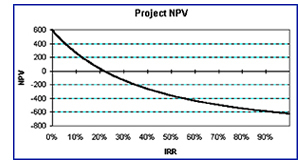 Its time to get comfortable using net present value (NPV) and internal rate of return (IRR) justifications, says John T. Phelan Jr.
Phelan, the chief operating officer of TriFactor, explains how in a recent article for Distribution Center Management. Read this featured article today. A significant number of companies still conduct old-fashioned annual physical inventories. Its a practice that endures despite its downsides, inventory management experts say. An annual physical count is one of the dumbest things we do, says Jason Bader of The Distribution Team. While annual physical inventories are imperfect, there are ways to make them better, says Bader in the August issue of Distribution Center Management. For example, form your count teams in advance. Donâ€™t leave this to chance. If you do, inexperienced workers will wind up together, creating the potential to sabotage your count. A smarter approach: Form two-person teams, pairing an experienced person with a worker who doesnt regularly touch the inventory. Then, make sure everyone knows the role they play on the team. For the most accurate count, the experienced person should be counting the items while the rookie does the recording. More on a successful physical inventory, plus an unconventional approach to safety, and how to calculate NPV and IRR appear in the August issue of Distribution Center Management. Subscribe today. As the e-commerce revolution puts unrelenting pressure on supply chains, brick-and-mortar retailers increasingly are using stores to supplement the inventory in their DCs. For retailers that already have prime real estate in the form of brick-and-mortar stores, ship from store offers a competitive advantage against e-tailers that ship from distant fulfillment centers. Retailers will also experience lower transportation costs and increased inventory turnover, which let them hold the line on prices. On the other hand, the possibilities are complicated, says Kris Bjorson, head of retail/e-commerce distribution at commercial real estate brokerage Jones Lang LaSalle. Perhaps stores will turn their back rooms into mini-DCs. Bjorson sees some stores turning into â€œurban logistics facilitiesâ€� or even crossdocks. More on ship-from-store practices, boosting piece-pick operations, and flexible work platforms appear in the July issue of Distribution Center Management. Subscribe today. In a widely anticipated announcement, UPS says it will follow the lead of FedEx in raising prices for light-but bulky packages larger than three cubic feet. Details on these and other strategies for dealing with the coming price increases appear in the July issue of Distribution Center Management. Subscribe today. 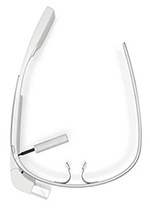 Google Glass promises a futuristic method of filtering the world through a computer screen. For warehouses, that technology might not be too far into the future. Smart glasses maker Vuzix and enterprise software firm SAP are marketing an augmented reality offering designed for DCs. A video demonstration created by the two companies poses tantalizing possibilities. In the video, a forklift operator sees and hears picking instructions through his smart glasses. Hes directed to pick a product in a specific aisle and row. As he nears the pick location, a green rectangle appears to highlight his destination. When he picks the item, the built-in scanner verifies that the operator has the right package, then directs him to the next pick or the loading dock. Click to see the demonstration of smart glasses in the DC..
For seven years, before they discovered a kinder and gentler approach to doing business, computer maker Dell and third- party logistics provider Genco ATC had a typically hard-nosed relationship. The May issue of Distribution Center Management provides details on the five principles as well as outcomes for Dell and Genco. Subscribe today. Beth Hammond works for a nonprofit organization that helps disabled workers find jobs in DCs, and she has seen what she calls an amazing transformation in recent years. Click to learn how Lowes has integrated disabled workers into its DC staff. At the 360,000-square-foot DC that supplies Sheetz convenience stores, theres a permanent concrete mezzanine where fast- moving product is stored. Darrin Pohar, vice president of distribution at Sheetz, says that its not the most efficient set-up. And its an arrangement that wont be repeated at Sheetzs new 250,000-square-foot facility in Burlington, NC. The company defined its process flow before deciding where walls would go. That means no permanent mezzanine, an uninterrupted conveyor flow, and a more streamlined operation for moving goods to Sheetzs growing roster of stores. Sheetzs material handling systems integrator is TriFactor, and chief operating officer J.J. Phelan urges his clients to start thinking about the little details of racks, conveyors, and sprinklers at the same time that they start contemplating the big decisions of when and where to build a new DC. He even advises them to consider what might appear to be unrelated issues such as insurance. Insurance premiums depend on the amount of inventory, the commodity classification of the inventory, and the ways the inventory is stored, he says. These factors can play a major role in storage system design and in turn overall DC design. Additional design considerations appear in the April issue of Distribution Center Management. Subscribe today. Steve Hopper is a proponent of lean processes in distribution, but hes also skeptical of efforts to make a broad and ambiguous topic seem like a cure-all for distribution centers. Hopper sees lean as a common-sense approach, one that requires analysis and sound judgement but not a major overhaul. In the March issue of Distribution Center Management, Hopper shares eight lean strategies including Strategy Number 4: Forget the putaway two-step. Many DCs unnecessarily make putaway a two-step process. Hopper says you can often make putaway a one-step process, with the worker who pulls a pallet off a truck putting it away. If one lift-truck operator pulls a pallet off a truck and puts it in a staging lane, and another operator picks it up in the staging lane and puts it away, youâ€™re duplicating the time needed to stop the forklift, lift the pallet, set it down, and pull the forks out. All of Hoppers lean strategies appear in the March issue of Distribution Center Management. Subscribe today. Before applying a data-mining technique known as predictive analysis to its operations, engine distributor Cummins Rocky Mountain struggled to prevent accidents at its Denver distribution center. The company would manage to cut injuries one year, only to see them spike the next. Cummins turned the corner after it began using a new software package from Predictive Solutions. Within a year, Cumminsâ€™ recordable incidents plunged by 76 percent. Predictive analysis has taken off in recent years as companies increasingly mine data to improve their marketing and cut their costs. Netflix famously has used predictive analysis to recommend movies based on titles customers have enjoyed in the past. For Griffin Schultz, general manager of Predictive Solutions, using data to recommend flicks is small potatoes. His goal is nothing short of saving lives. Details on Cummins sophisticated data collection and hazard modeling appear in the March issue of Distribution Center Management. Subscribe today. As the e-commerce revolution finds distribution centers shipping more and more items in ever smaller packages, boxes and packing material are becoming a bigger concern. Some companies, such as office supplies seller Staples, have begun creating custom-made boxes that minimize wasted space. Details on ExpandOS and the DCs that are using it appear in the February issue of Distribution Center Management. Subscribe today. Destuff-IT Unloaders and Restuff-IT Loaders assist workers with manual handling of floor-loaded products in containers and trailers at inbound and outbound loading docks. They are designed to integrate with flexible roller conveyors and contribute to improved case rate, increased productivity, and reduced risk of worker injury. An inventory management approach with a clunky name has yielded big results for some distribution centers. The strategy is called the theory of constraints (TOC), and it has been embraced by Random House, adidas, and other manufacturers and retailers as a way to manage inventory. Its been applied in literally thousands and thousands of companies very successfully, says Gerald Kendall, a consultant and author of several books about the theory of constraints. Kendall explained the theory and its applications in the February issue of Distribution Center Management. The typical inventory approach is a push model — factories and DCs shove products at stores and hope it sells. TOC preaches pull — replenishing inventory as demand dictates. For Random House, the theory of constraints drove a shift to more frequent ordering. The company now replenishes smaller quantities based on actual demand. Random House also automated location changes, the process of moving slow-selling books to smaller locations or to bulk storage. Before, location changes were manual, and therefore took a long time. As a result of applying TOC to its inventory, Random House saw many improvements including a reduction in its emergency replenishment rate from 38 percent to 1.7 percent. Details on the use of TOC at Random House and adidas appears in the February issue of Distribution Center Management. Subscribe today. Place an order for a few reams of paper and a box of pens on Staples website, and the retailer immediately will get to work creating a customized shipping package, one that minimizes wasted space. Through a partnership with software firm Packsize International, Staples creates a corrugated box at the fulfillment center. A large machine churns out boxes, some small enough for a box of paper clips, others large enough to hold a conference table. Intriguingly, Staples was inspired as much by sustainability as by savings. Office supplies isnt exactly a niche associated with environmentally conscious consumers, but Staples says customers consistently complained about receiving oversized boxes filled with air pillows. Details on how Staples is meeting customer needs while cutting material costs and increasing truck capacity, appear in the January issue of Distribution Center Management. Subscribe today. The U.S. unemployment rate dropped to a five year low in November, signaling the return of a familiar management challenge: Finding and keeping workers is about to get harder. A generation gap only toughens the task. While baby boomer bosses are accustomed to one way of doing business, workers in their 20s and 30s arent as apt to accept grueling conditions as their parents were. The January issue of Distribution Center Management newsletter looks at trends in DC management including the challanges of the labor market. And while youre at the website, please consider becoming a regular reader of Distribution Center Management. When you subscribe by January 14, you may take advantage of a special introductory offer for new subscribers and save 20% off the regular subscription price — this is our lowest price of the year. One month, theres a chili cook-off combined with a costume contest. Another month its a luau. At Thanksgiving, The Container Store DC workers stage a bowling match using frozen turkeys as balls. The highlight of the year might be Derby Day, when employees divide into teams to build cars inspired by the Boy Scouts Pinewood Derby. As Mike Cornado rattles off one party after another, he hardly seems to be describing the work conditions in a distribution center, which are all too often portrayed as soul-crushing places to earn a living. But Cornado, The Container Stores director of distribution, tells Distribution Center Management, that he strives to create a lively, inspiring, even creative atmosphere at the 1.1 million-square-foot Dallas DC. Details on how Cornado motivates his team appear in the December issue of Distribution Center Management. With 3PLs posting solid growth, outsourcing has emerged as a fast-growing trend in the distribution industry. Too many WMS implementations struggle and fail, not because of the systemâ€™s weak technical performance, but because of the tendency to underestimate the human side of the project. Whether the problem is as big as $9 billion in slow-moving inventory or as small as unclear labels on product, DCs are embracing lean principles as a way to improve their efficiency. The November issue of Distribution Center Management, reports on the lean efforts at Genco, Walgreen, and Safeway. At Walgreen the problem was two-fold, too much inventory and too few supervisors. Walgreen DCs had only one supervisor for 150 workers, about a tenth of the number it needed. With too much fat and too little supervision, Walgreen decided to embark on a lean program. Part of the solution was to involve everyone in the DC. Now, every shift starts with a 15-minute meeting on lean efforts. Considering that Walgreen has 10,000 workers in its supply chain, that short meeting represents a huge investment. Managers also take a daily walk through the facility to look for inefficiencies. And signs are posted in the DCs, which outline common sources of waste including mistakes, waiting, transportation, too much motion, and excess inventory. Details on the lean efforts at Genco, Walgreen, and Safeway appear in the November issue of Distribution Center Management. When W.W. Grainger opened its new 1 million-square-foot DC, it sported state-of-the-art automation. When Safeways 36-year-old automation system finally died, the grocer decided it was time to upgrade. The decision by both companies shows that investment in DC automation is back in vogue as the economy bounces back. At this years Material Handling and Logistics Conference, the two companies shared the lessons learned from their automation investments. In an unusual piece of advice, Mike Peterson, group director of distribution operations for Safeway, says to look for heros in projects of this type. Upgrading your automation isnt easy, but it gives your people a chance to shine. One of the unintended consequences was that it helped us identify heroes, Peterson says. In some cases, workers unexpectedly stepped up to take on new responsibility with the ASRS upgrade. Peterson responded by giving those workers more responsibility on other projects. Additional tips from both companies appear in the October issue of Distribution Center Management. At most distribution centers, the relationship between DC operator and staffing firm is an arms length transaction. The DC needs people, and its willing to pay the staffing agency to deal with recruiting, hiring, and paying workers. But when Focus Products Group decided to raise the level of performance at its DC in Pleasant Prarie, WI, the company didnt want to stick with business as usual. Instead, it had a long list of demands. Focus Products Group wanted better workers and better technology to track their performance — but it didnt want to invest anything up front. Sensing both a challenge and an opportunity, labor management firm TZA decided to tackle the task. The result is a collaboration that TZA President Evan Danner tells Distribution Center Management is saving money, boosting performance, and offering a new model of collaboration. TZA hires and pays most of the workers at Focus Products Groups DC. TZA provides a labor management system and collects a percentage of staff costs. Focus Products Group pays a flat fee and reaps any savings from increased productivity. Details on this unusual arrangement appear in the October issue of Distribution Center Management. With the economy on the rebound but companies still running lean, this peak season threatens to overwhelm warehouses that arent prepared. In the September issue of Distribution Center Management logistics experts Jeff Barry of F. Curtis Barry & Co. and Diane Blair of Intelligrated suggest five essential ways to prepare. These include performing preventive maintenance right now. Just as you dont leave on a family road trip without inspecting your vehicle, you shouldnt go into peak season with a DC full of rusty chains and worn belts. You want to find and fix problems now, before they shut down your order handling. Tour your facility and look for signs that your material handling equipment needs maintenance. Lubricate chains and look for oil drips. Check belts for wear. Look for shavings that may be a sign of misalignment. Listen for unusual sounds and check for any changes in how product moves from point A to point B. Check electrical wiring to confirm that everything is secure and look at temperature ranges to see if anything is out of the normal range. If youre unsure of the maintenance needed for your systems, schedule a mechanical audit from a material handling systems provider. 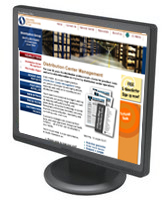 All five preparation steps appear in the September issue of Distribution Center Management. E-commerce has grown rapidly over the past several years. Last year, it exploded. Many retailers saw their e-commerce sales increase by double digits and are projecting strong growth for the foreseeable future. Success in a multichannel world requires the right order fulfillment strategy, and that strategy is likely different from the store replenishment strategy currently being used to stock store shelves. 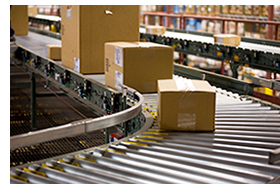 In the August issue of Distribution Center Management newsletter Kelly Reed, executive vice president, material handling integration at Tompkins International discusses five facility design principles for e-commerce order fulfillment. GoIndustry DoveBid will be conducting a Material Handling Equipment online auction on August 12 - August 14, 2013. Office cubicles, tables, computer desks, chairs, etc. Robots and sophisticated software are taking hold at some highly efficient warehouses. But many other distribution centers remain behind the times. DC mistake: Dont bother with conveyors. Would you really prefer that your pickers devote up to 70 percent of their shift to walking? The answer should be no, but many DCs ignore the obvious savings that go along with using gravity-fed or powered conveyors. DC mistake: Use only 11- or 12-foot aisles. 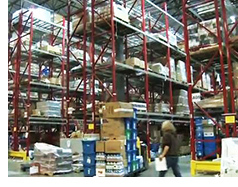 Many warehouses insist on this design, despite the availability of narrow-aisle stockpickers. Instead, take advantage of efficient layouts and new technology. Doing so might help you save space -- and, perhaps, delay expanding or moving. DC mistake: Make pickers juggle handheld devices and paper lists. The complete list of Common DC Mistakes appears in the August issue of Distribution Center Management. To persuade Fox to invest in voice, Robby Dhesi, Foxs global vice president of operations asked a vendor to come to Foxs DC and train its lowest-performing picker on the system. After a short training period, the worker slashed his picking time for the same items to 21 minutes from 45 minutes. That convinced Dhesis bosses that voice picking would work. Details on Fox Heads experience upgrading to voice appear in the July issue of Distribution Center Management newsletter. During a recent assignment in a distribution center, Geoff Sisko noticed a picker putting a piece of paper over part of the barcode every time he scanned a book. Warehouse loading docks can be such treacherous places that Barry Grubb likens the hazards to those faced by workers in a coal mine. A worker can lose fingers if a dock leveler malfunctions. 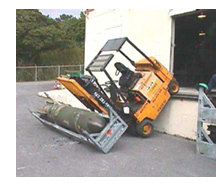 A forklift operator can plunge off the dock if a truck driver mistakenly pulls away from the loading bay. Even without a catastrophic episode, docks are hot in the summer, cold in the winter, and generally tough places to work. But, say Grubb owner of Ameridock Dock Systems, and others, advances in dock equipment are helping DCs avoid some common injuries. And there are more problems: If rain has come in through the dock door, its even less safe. If the leveler hasnt been maintained recently, it might not adjust easily. And if the worker is light, hell have to walk farther out on to the edge of the plate. For all of these reasons, automatic levelers controlled either by hydraulic or pneumatic systems have grown popular. Workers can adjust them simply by pushing a button. Old-fashioned manual levelers cost about $1,500 per dock door, while automatic levelers cost twice as much. The automatic dock plates make up for their higher price tag by requiring less maintenance, Grubb says. Additional information on automatic levelers, trailer restraints, lighting, and more appear in the June issue of Distribution Center Management. You may be so accustomed to your DC that you dont see its flaws. But chances are there are places where your equipment and design dont lend themselves to efficiency. Based on his years of experience working with DCs in many industries, Norm Saenz, principal at Transystems says that there are common warning signs that trouble is brewing. Are you replenishing your forward pick racks too frequently? Aim to fill these areas with one to two weeks of cubic velocity (quantity picked times product size). You dont want to replenish every day, or even every few days. Is product staged in aisles? This is a sign that your dock is too small. Sometimes in peak season, you might need to stage product in aisles. But if it happens all the time, youre running out of space. Are you piece-picking from full pallet positions? This is clearly the wrong method. You want to pull full pallets, not pieces, out of these positions. Are their traffic jams in your aisles? Operator congestion in aisleways suggests its time to look at your slotting. Are pickers bending a lot as they pick? This is another sign that slotting is an issue. You want to slot fast-moving products in ergonomically efficient areas. Are you still using paper picking? This method is less productive than RF, voice, and pick-to-light. The May issue of Distribution Center Management includes another dozen red flags, which signal opportunities for improvement. Sears Home Services, the retailers division that delivers appliance parts for in-home repairs, faced some startling inefficiencies. The division had five distribution centers, yet there was no inventory visibility from one location to another. Say a customer in California needed a part. If the California DC didnt have it in stock, Sears would buy the part even if the part was sitting in the DC in Chicago. To address its inventory issues, Sears Home Services decided to ditch its old-fashioned paper-and-pencil picking in favor of a WMS and a distributed order management system (DOMS) that tracks inventory across DCs and even inside thousands of trucks driven by technicians. If youre adding new racks at your facility, you can avoid delays, headaches, and safety problems by following a few simple rules, says John Krummell, president of Advance Storage Products. In the April issue of Distribution Center Management, Krummell notes that your overall goal is to create a rack set-up that lets you operate efficiently and safely. How do you achieve that goal? For starters, talk to the manufacturer of your lift trucks to make sure the racks you plan to install are compatible with your forklifts. Want a recipe for instant frustration? Try planning to store a load at 22 feet, then learning that your lift truck goes to only 21 feet. Its the sort of mistake that can lead to a costly and time-consuming change order to your rack installation. Heights arent the only area for potential problems. Aisle widths are another area where you should seek advice from lift truck manufacturers. If they say you need an eight-foot aisle, probably go nine feet to give yourself some extra space, Krummell says. Seven additional tips for selecting and installing racks appear in the April issue of Distribution Center Management. Getting out on the floor of the DC is a crucial management tactic. But if you walk around only once in a while, you run the risk of what Tom Tanel, head of Cattan Services Group calls the "lip-service presentation and eyewash tour." The visible presence of distribution executives on the facility floor is now routinely accepted as a defining characteristic found in organizations with a high- performance culture, says Tanel, in the April issue of Distribution Center Management. Trust but verify. As you walk around, conduct your own spot checks to verify the statistics that make it to your desk. Meet the people. Read their body language, gauge their facial expressions, and engage in small talk, which can lead to more candid conversations. Use all five senses. These observations should lead you to ask pointed questions about your operations. Listen closely. Asking the right questions is pointless if you dont listen. Additional insights on managing while walking around and Tanels checklist appear in the April issue of Distribution Center Management newsletter. Distribution center managers find themselves under ever increasing pressure to slash costs and boost margins — yet many havent taken any kind of formal approach to ferreting out savings. Thats according to research by Intermec. The technology company surveyed 250 distribution managers and found that inefficiencies are a serious problem. For instance, managers estimated that each worker loses an average of 15 minutes of productivity per shift because of inefficient processes. That may not sound like much, but over the course of a year, it adds up to more than 60 hours of wasted time. Multiply that across a 50-worker DC, and the loss tops 3,000 hours a year. Shaving even a few seconds can yield big results -- and sometimes these savings can be found without big investments in new technology. Travel times are one big time-waster that can often be easily fixed, Stubbs says. Taking a hard look at your DC layout can reveal valuable seconds of redundant travel time for pickers and other employees. Other second-savers can include quicker label printing, faster barcode label scanning, and eliminating mid-shift battery changes for forklifts. Additional tips for tackling time wasters appears in the March issue of Distribution Center Management. When Cintas Corp. raised a safety-certification flag in a ceremony at its distribution center in Sparks, NV, in late 2012, company executives and safety regulators gathered to cheer the achievement. The flag-raising marked another step in a dramatic turnaround for the uniform company that five years ago was known as a safety laggard. A) Send him home without pay and warn that youll fire him if he keeps whining. B) Document his concerns and inspect the forklift. If you answered (A), youre in danger of running afoul of the Occupational Safety and Health Administrations (OSHA) stepped up focus on protecting workplace whistleblowers, says Richard Alaniz, an employment attorney in Houston. Employers should brace themselves for the potential of a substantial increase in the number of claims and investigations, he says in the February issue of Distribution Center Management. So far, the OSHA whistleblower actions in the supply chain industry have focused on trucking companies and railroad lines. But its only logical that OSHA will turn its focus to distribution centers, Alaniz says. In the February issue of industry newsletter Distribution Center Management, Alaniz offers advice for staying on the right side of OSHAs whistleblower efforts. Inventory expert Jon Schriebfeder recently visited the DC of a large, sophisticated retailer, where he found a staggering $27 million in unnecessary inventory. The discovery served as a reminder that even big companies can lose track of their product or carry too many items. In this case, says Schrieberfeder, the on-hand quantities in the computer system did not agree with what was actually on the shelf. So there was little choice but to overstock to ensure that orders could be filled. Providing samples without recording their removal. Substituting product without recording what was removed. Taking items from the dock before the stock was processed. More from Jon Schriebfeder, including how to tie pay to inventory accuracy appears in the February issue of Distribution Center Management. Get ready for another year of pinching pennies, running lean, and squeezing as much productivity as possible from your workforce. Thats the consensus of the DC experts interviewed in the January issue of Distribution Center Management. They see 2013 as a mixed year. The economy is improving and unemployment has fallen below 8 percent, yet the outlook remains uncertain enough that companies are reluctant to start spending heavily. Still, with American businesses sitting on $2 trillion in cash, it could be the perfect time to ask for upgrades to your WMS system, automated material handling and storage equipment, and other warehouse technology. Just be sure you can make a case for the cost savings that will be reaped by any new investments. In fact, warehouse technology has already begun to show signs of a rebound. A recent survey by the Materials Handling Industry Association found that 74 percent of manufacturing and distribution operations are planning or pondering an automation investment. As the industry looks ahead to the New Year, Jeff Ostrowski, editor of Distribution Center Management asked a group of leading industry consultants about the top challenges — and solutions — that they see coming. For Susan Rider of Rider & Associates, a major challenge is finding time for continuous improvement. Rider says that the solution is to make time for quick fixes. Walk times and touch times are obvious places to start. Processes that once made sense can grow less efficient over time. If the number of times workers touch a product has increased, or if wait times have lengthened, youre wasting money. Additional challenges and solutions appear in the January issue of Distribution Center Management newsletter. Slow movers are the bane of any DCs existence, and food distributor Ben E. Keith has its share of infrequently ordered products. The companys dry product includes some 10,000 SKUs, and they follow the 80-20 rule. There are 4,000 fast-moving products that account for 80 percent of all activity. And the remaining 6,000 products account for only 20 percent of moves. To deal with these slow movers, Ben E. Keith made a major investment in material handling technology at its new DC in Houston. The food distributor spent about $2 million on a miniload system that enhances picking efficiency by storing unneeded items high above the floor and dropping to ground level those items that need to be picked. The miniload system, which is 35 feet tall, enhances space use by storing unneeded items vertically. That reduces travel time, Kohl says, because a picker must travel past only 1,300 items during a shift instead of 6,000. To justify the investment, Ben E. Keith had to focus on issues such as customer service and competitive advantage. Details on Ben E. Keiths transition to miniload appear in the November issue of Distribution Center Management newsletter. In 2006 Walmart announced plans to reduce overall packaging costs by 5 percent. The belief was that packaging optimization would have a big impact on the environment and the balance sheet. 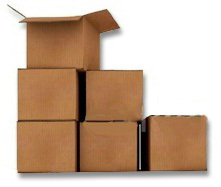 Logistics leaders could not fathom the magnitude of savings coming from packaging — primarily a cardboard box that costs about $1 per unit, says Jack Ampuja in the November issue of Distribution Center Management. Immucors product can be a matter of life or death. The life sciences company sells blood for transfusions, along with related items. Our processes were very inefficient, Naji Haddad, Immucors senior director of global supply chain operations tells Distribution Center Management. Without a major capital investment, Immucor was able to significantly reduce overtime and increase accuracy and throughput. Step 1: As is. In this step, Haddad and his workers collected data and examined the warehouse as it operated. They made process maps and developed a consensus that things needed to change. Step 2: Could be/Should be. In this phase, Haddad and his employees decided what needed to be improved and how the facility might look. Step 3: To be. This was the implementation phase, when the improvements turn into reality. The roadmap focused on process standardization, setting clear performance goals, revamping the current layout, and moving from a paper system to wrist-mounted scanners. The changes increased accuracy and saved 11 hours of overtime per day while allowing the warehouse to process twice as many orders, Haddad says. The October issue of Distribution Center Management includes details on this dramatic transformation. Shipping rates are on the rise again. FedEx, YRC Freight, Conway Freight, and ABF Freight System raised rates 6.9 percent this summer. UPS Freight announced a 5.9 percent increase, and Old Dominion Freight Line boosted prices by 4.9 percent. The rate increases announced by UPS, FedEx, and other carriers probably dont affect you directly, because your prices already are set in a contract. And when you call your carrier to negotiate, they say youre a valued customer and that theyll give you a break. Beyond the price increases, theyve been getting more and more exotic with their accessorial charges and their surcharges, Ferrell says. That indicates that carriers arent always your best buddy. But Yarusavage advises looking for the cliched win-win solution. Treat a carrier more like a partner and less like an adversary, Yarusavage says. The September issue of Distribution Center Management includes all seven of Yarusavage and Ferrells tips. New EEOC guidelines are causing quite a bit of concern in the logistics industry as employers try to make sense of them, says Les Rosen of Employment Screening Resources. But theres no need to worry. No way, no how is an employer required to hire a dangerous person, Rosen says in the September issue of Distribution Center Management newsletter. 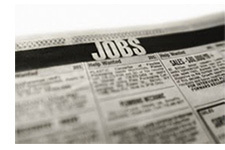 At many DCs, using criminal background checks to screen job candidates only makes sense. After all, cargo thieves help themselves to goods worth an estimated $25 billion a year, and warehouse employees often serve as a conduit to the bad guys. And occasional flare-ups of workplace violence have devastated several distribution centers in recent years. But federal regulators say theyre cracking down on employers who indiscriminately use criminal background checks to nix job applicants. Saying such policies discriminate against black and Hispanic job candidates, the EEOC has issued stricter guidelines surrounding criminal histories. The September issue of Distribution Center Management provides readers with a six-point checklist on how to comply with the tougher rules for criminal background checks. When Other World Computing decided to build a new 20,000-square-foot DC in Woodstock, IL, the company wanted to go green. Among the facilitys Earth-friendly features are a wind turbine, a porous parking lot, and plenty of green space. But its not just small DCs that are investing in eco- friendly initiatives. General Motors huge parts DC in Lansing, MI, has also gone green. And in 2011, the DC brought in $42,358 from recycling 325 tons of cardboard and 1,054 tons of wood pallets. It also generated $27,947 in revenue from recycling 59 tons of lead-acid batteries. And in a third example, going green means going underground. Hunt Midwest Real Estate says its underground warehouse park — or "Sub-Tropolis" — in Kansas City, MO, lets tenants cut utility bills by 70 percent. Thats because the buildings are 50 to 100 feet underground, where constant temperatures in the 60s reduce the need for heat and air-conditioning. Details on these green strategies and more appear in the August issue of Distribution Center Management newsletter. The repetitive nature of warehouse jobs can wreak havoc on workers backs, shoulders, and knees. While some companies stress proper lifting techniques and stretching, training can go only so far in preventing repetitive stress injuries, says Vern Anderson of the National Institute for Occupational Safety and Health in the August issue of Distribution Center Management newsletter. There are limits to how well you can train somebody to lift a 75-pound box, Anderson says. There are also limits to how well various lift-assist technologies will address the unique situations of your warehouse. Very seldom do you find something that will fall off the shelf that will work for every solution, Anderson says. Given those obstacles, Anderson says, managers would be wise to design repetitive tasks to reduce stress on workers. The payoff can be fewer injuries and greater productivity. In the August issue of Distribution Center Management newsletter, Anderson suggests where to look for potentially dangerous practices and how to fix them. With cargo crime a persistent threat, you can protect your inventory with what Ron Heil calls layered security. The idea is simple, but its one often overlooked by DC managers. These rings of protection start with an outer ring that includes such basics as lights, fences, and gates. The obstacles continue at the walls of the DC, then grow tighter in an inner ring of high-tech security systems, says Heil, senior security consultant at TranSystems and a certified protection professional. In the August issue of industry newsletter, Distribution Center Management, Heil explains that the layers are designed to get tougher to penetrate as you move closer to the inventory. The idea is to restrict entry and exit points and to channel visitors and vehicle traffic to areas where protection measures are concentrated. By limiting exit routes from your facility, you create the fear in a thiefs mind that hell be trapped if hes discovered. Heil explains how to implement a layered security system in the August issue of Distribution Center Management. The Warehousing Education and Research Council asked DC experts to present efficiency tips at the groups 35th annual conference in Atlanta. Use colors and shapes. To make pickers jobs easier, include colors and shapes on location labels, says Stephen Martin of Panalpina, a global freight and logistics company. These quick cues focus the pickers point of reference as he approaches the picking location and saves precious time. Loosen up your sequencing. All too often, adding bins or racks requires a re-sequencing of your entire numbering and lettering system, Martin says. To make your life easier, skip numbers or letters when you set up your system so later you can add bins or racks without re-sequencing. Start mapping. Tracking the flow of people and product through your facility can teach you a lot, says Norman Saenz of TranSystems Corp. Map material flow through your facility, and map the path a picker takes. Look for backtracking and other wasteful practices. Do a white space assessment. Add up your white space — space that isnt used for productive ends — and see what percentage of total square footage it occupies. Less white space is better, Saenz says — although you dont want to cram so much into your DC that you hamper productivity. Additional efficiency tips appear in the July issue of www.DistributionGroup.com along with our complete WERC conference coverage. The number-one reason DC management contacts a consultant for assistance is space, or more accurately, the lack of space, says Fred Kimball in the July issue of Distribution Center Management. The number-one reason for the shortage of space, says Kimball, is excess inventory. Yet convincing executive management to shed this inventory can be difficult. The solution is to offer real analytical evidence to explain the problem in ways that encourage executive management to take action. To do this, Kimball recommends five types of reports. These are the velocity profile, inventory by velocity group, zero-ship items, inventory profile, and months of supply on hand. To read the full article and learn more about each of these valuable reports, visit www.DistributionGroup.com Featured Articles. It seems impossible, but auto parts distributor Pep Boys says its true: The company cut pay for many of its warehouse workers but is getting more work from them. The result? Pep Boys is paying top performers more, its paying mediocre workers less, and the company was able to dump the slackers. Hot weather has returned to Dallas, and so has The Container Stores Water Truck. Every weekday afternoon from June through September, an employee from the retailers front office drives through the companys 960,000-square-foot DC with coolers full of water and cold, damp paper towels. The Water Truck is a simple way for the company to ease the challenging working conditions in the DC, says Mike Coronado, in the June issue of Distribution Center Management newsletter. Coronado, distribution director at The Container Store, says that the DC has no air-conditioning, and summertime temperatures in Dallas routinely top 100 degrees. Train workers and supervisors about the hazards leading to heat stress and ways to prevent them. Allow workers to get used to hot environments by gradually increasing exposure over at least a five-day work period. Provide workers with plenty of cool water in convenient, visible locations close to the work area. Water should have a pleasant and odor-free taste. Water temperature should be 50 degrees to 60 degrees. Remind workers to frequently drink small amounts of water before they get thirsty. During moderate activity in moderately hot conditions, workers should drink about six ounces every 15 minutes. Urine should be clear or lightly colored. Monitor weather reports daily, and reschedule jobs with high heat exposure to cooler times of the day. When possible, routine maintenance and repair projects should be scheduled for the cooler seasons of the year. Schedule frequent rest periods with water breaks in shaded or air-conditioned recovery areas. Additional hot-weather tips from The Container Store and other Dallas area DCs appear in the June issue of Distribution Center Management. The modern distribution center is a high-tech marvel, one that uses sophisticated software, state-of-the-art equipment, and adept management to move dizzying volumes of products at stunning speeds. Even so, foolish and inefficient practices can find their way into warehouses, often because managers dont know any better. Kate Vitasek of Supply Chain Visions has been cataloging dumb DC practices, and she has found some doozies, such as a receiving dock on the second floor, an inventory labeling system that relied on Post-It notes, and a receiving shift that ended just as deliveries arrived. In each case, Vitasek says, warehouse managers thought of an inefficient practice as a legitimate solution to a challenge. Dumb Idea: Letting your inventory walk away at the end of the shift. Theft is a problem in many DCs. Petty pilfering is one thing, but some warehouses are victimized by wholesale looting. Fred Kimball of Distribution Design once saw a government-operated pharmaceutical warehouse in another country that lost product worth $600 million in one year, mostly because of employee theft. In another case, Kimball saw a 3PL that handled a precious metal worth $125,000 per pallet — without the processes and security systems to protect it. Sure enough, the inventory began disappearing. Each brick was worth $4,000, and an employee could get $1,200 at a scrap yard. Smart Solution: If youre handling valuable product, invest in employee background checks, drug testing, surveillance cameras, tip hotlines, and security guards. Smart Solution: Stagger lunch breaks, or at least coach employees to move temperature-sensitive product to a temperature-controlled area before breaking for lunch. Additional dumb ideas and smart solutions appear in the June issue of Distribution Center Management. Some of the latest and greatest material handling technology is on display at Amways new distribution center in Ada, MI. 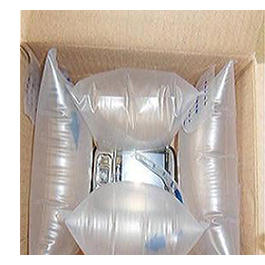 To end the problem of shipping small items in big boxes, for instance, Amway bought three packaging machines. The devices include a sensor to measure the tallest item in an order. Then they custom build a box thats designed to fit the item being shipped -- which in the case of Amway often includes an order that is nothing more than a few tubes of lipstick or eyeliner. While the transportation savings are a plus, the main goal of the packaging machines is appearance. In these times of green-minded consumers, no one wants to get an oversized box thats mostly filled with air. Information on Amways packaging machines, invoice-printing system, and two-mile long conveyor system appear in the May issue of Distribution Center Management . In the article Using a put strategy to optimize order fulfillment Ruehrdanz provides additional information and three scenarios in which put is more efficient than pick. As tales of harsh working conditions in warehouses spread nationally, some have begun to describe distribution centers as the modern equivalent of coal mines, garment factories, and other paragons of unsafe and unpleasant workplaces. An article in the April issue of Distribution Center Management looks at a number of recent examples of DCs in the news and in trouble with OSHA for safety and health violations. In addition the article provides "four safety truths" from workplace safety firm Predictive Solutions. Safety Truth 1: Inspections work. More inspections lead to a safer workplace. Make certain your safety program rewards high levels of inspections. If your accident rates seem high, the first step is to do more inspections. Safety Truth 2: Recruit inspectors from outside the safety function to conduct inspections. The more inspectors you have looking at safety, the fewer accidents youll have. Getting managers out on the floor reaps rewards from not only improved safety but also productivity. Safety Truth 3: Too many 100 percent safe inspections are bad news. Train for and reward the reporting of unsafe conditions. Your goal isnt to produce squeaky clean inspection reports. Your goal is to prevent accidents before they happen. Safety Truth 4: If you find unsafe conditions, fix them. Sounds obvious, but too often, inspectors report unsafe conditions that never get resolved. More on keeping your workers safe, and the changes unions want to see are in the April issue of Distribution Center Management. When Jon Schreibfeder visited a consumer goods distribution center last year, several of his pet peeves jumped out. Fast-moving items were scattered throughout the warehouse, leading pickers on far too many long trips to fill orders. There were obvious opportunities to upgrade material handling systems. And the shopping carts used by pickers did little to make workers lives easier. Schreibfeder, head of Effective Inventory Management, suggested a number of changes at the 300,000-square-foot warehouse, including a change in the way the DC was handling its physical inventories. In the April issue of Distribution Center Management newsletter he notes that full physical inventories have fallen out of favor because theyre so time-consuming. And while they are ideal for counting slow-moving items, theyre not as good for analyzing fast-moving product. Schreibfeder prefers cycle counting and suggests counting fast movers six times a year. Because the focus is on fast movers, cycle counting can help you identify accuracy problems in your most important SKUs earlier than a traditional full physical inventory. Details on some of Schreibfeders additional strategies for going lean including finding time to reorganize the warehouse, making fast-moving items easy to reach, and getting rid of the slowest movers, appears in the April issue of Distribution Center Management. In the category of everything old is new again, companies are embracing cross-docking as a way to cut transport costs and lighten inventories. While many operations look to cross-docking as a cost saver, DC managers must tread cautiously. More than one company has set up a cross-dock only to reverse course, says Fred Kimball, principal at Distribution Design. He tells companies to consider factors such as the complexity of their picking operations, their stockkeeping unit count, and whether they account for inventory by the first-in/ first-out method. A company such as Coca-Cola that moves mostly uniform products can cross-dock more successfully than one that handles a wider variety of products. Despite those limitations, cross-docking works well in the right situations, says John Vogt, president of the Houston Roundtable of the Council of Supply Chain Management Professionals and director of global logistics at Halliburton. Thompson, Kimball, and Vogt provide strategies for cross-docking success in the March issue of Distribution Center Management. Seeking new efficiencies from its returns operations, third-party logistics provider Ryder has integrated its forward and reverse logistics in the same facilities in several locations. The results have been promising according to an article in the March issue of Distribution Center Management newsletter. By combining operations that are normally separate, Ryder has seen efficiency gains that range from 8 percent to 18 percent, says Steve Sensing, vice president and general manager for Ryder Supply Chain Solutions. Its also seen a 10 percent reduction in transportation costs. While co-location makes sense, Sensing acknowledges that in many operations, there are still barriers between distribution and reverse logistics. But the lines are beginning to blur. In another example, Genco ATC has used the strategy for years, including at a facility in Nashville that handles outbound and inbound shipments for Dell. Tim Konrad, senior vice president at Genco ATC, tells Distribution Center Management that while the outbound and inbound operations are clearly separated, putting both under one roof saves on real estate and labor costs. You dont have the overhead of an additional facility, he says. The March issue of Distribution Center Management includes details on Ryder and Gencos reverse logistics operations. Do Professional Designations Really Matter? George Yarusavage figures the six letters after his name have paid off handsomely. On two occasions over the years, Yarusavage interviewed for management jobs, and in both cases, he competed against another applicant with a similar background, education, abilities, and experiences. And in both cases, Yarusavage landed the job. The difference, he says, is that he took the time to earn two professional designations — the Certified in Transportation and Logistics (CTL) designation offered by the American Society of Transportation and Logistics, and the Certified Purchasing Manager (CPM) designation from the Institute of Supply Management. Yarusavage, currently a principal at Fortress Consulting, is among the thousands of supply chain professionals who have taken the time to earn professional designations. As the distribution business grows more complex, the variety of designations has grown. In addition to the certifications offered by the American Society of Transportation and Logistics and the Institute of Supply Management, APICS offers a supply chain designation. And the Council for Supply Chain Management last year debuted its own designation, the SCPro certification. With all the talk of high-tech efficiency measures such as warehouse management systems, performance metrics, and engineered standards, it would be easy to assume that most distribution centers operate efficiently and effectively. But such an assumption would be wrong, says Jeroen P. van den Berg, head of Dutch firm Jeroen van den Berg Consulting and author of the new book Highly Competitive Warehouse Management. Fully half of distribution centers operate in a chaotic state that van den Berg considers fire-fighting mode. The typical warehouse sets no goals, keeps track of no performance metrics, and simply lurches from one crisis to the next. Use KPIs, he says. Key performance indicators (KPIs) should serve to paint a big picture that creates clarity for operators and managers. They can also be invaluable for identifying problems and areas for improvement. KPIs will vary depending on the size and type of DC, but they measure processes such as productivity, accuracy, inbound handling, outbound handling, and storage. 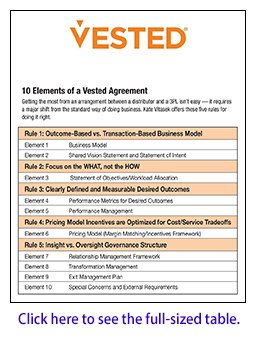 You should aim to measure the eight to 16 KPIs that reflect the scope of your operations. If only a few aspects are covered in the KPIs, then this may result in a myopic view of the operation, van den Berg says. On the other hand, too many KPIs or too much overlap of KPIs can lead to information overload and general confusion. Keep in mind that operators and supervisors will focus on the issues covered by the KPIs, and theyll neglect other measures — so choose wisely, and limit the number of KPIs that individual operators are responsible for. Three to five is a good rule of thumb. Additional advice from van den Berg appears in the February issue of Distribution Center Management newsletter. When a worker at Crown Equipment Corp.s distribution center sees a coworker perform his job safely, something unusual happens. The worker pulls a card out of his pocket, makes a few marks on it, and hands it to the exemplary worker. Its all part of the forklift manufacturers program of behavior based safety that has helped reduce accidents in both the manufacturing facility and the distribution center. Crowns latest safety push began six years ago, when the company found that it had hit a plateau using the usual approaches to safety, says Brian Duffy, Crowns director of environmental health and safety. When a worker sees a coworker performing one of these behaviors, he stops, checks off the appropriate line, and hands it to the worker. The tone of the interaction is upbeat, and the theme is to recognize and thank the worker whos behaving safely. People really appreciate being thanked, Duffy says. Details on Crown Equipment Corp.s safety plan appear in the January issue of Distribution Center Management newsletter. Sluggish sales, tight budgets and rising oil costs are among the top concerns for distribution center and warehouse management in 2012. But, according to the industry experts interviewed in the January issue of Distribution Center Management newsletter, there are plenty of strategies that managers can adopt to overcome these challenges and position the DC for success. In one instance, Kimball saw a DC where the warehouse management system considered a particular bay one location, even though there were eight pallets and 70 SKUs at this location. That meant a picker visiting the location had to navigate 70 different products to find the one he needed. I doubt any warehouse manager would want a storage environment like this, but they are backed into a corner because of too much inventory and the companys unwillingness to purge excess and obsolete inventory, Kimball says. If youre saddled with this sort of inefficient use of space, Kimball says, then make it your mission to tell your bosses about how much this clutter costs in terms of space, labor, and equipment. Among the steps Kimball recommends: Document the operational costs of excess inventory, report the number of SKUs with more than six or 12 months supply on hand and what percentage of total inventory the slow-moving SKUs represent. Calculate the space youd create by moving the excess inventory out of the building. Use outside storage or rented trailers in the yard. Conduct a productivity test to measure the time wasted by pickers rummaging through a location with eight pallets and dozens of SKUs. The bottom line, says Kimball, is to make yourself the catalyst for change. Maybe the most cost-effective solution is to write off the slow-selling inventory and toss it in a dumpster. Sign up to receive Distribution Digest every other week.